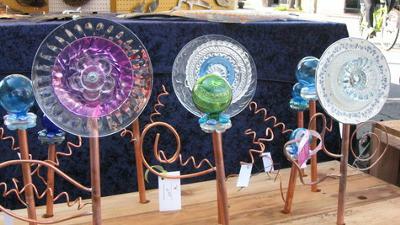 Recycled Glass Plate Garden Stakes. 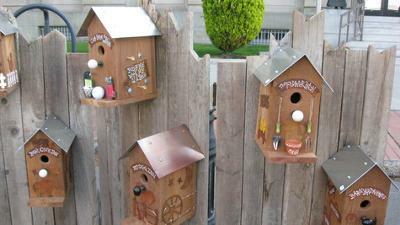 Bird Feeders on Copper Stakes. Wire Wrap Jewelry - Gold-Copper-Sterling, Birdhouses, Bird Feeders, Bird Baths, Recycled Glass Flower Plates on Copper Stakes. 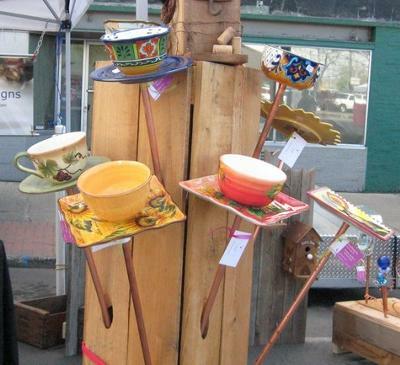 Washington State Vendor. For booking or more information visit website at www.stonewiredesigns.com, or call (509) 930-1781.